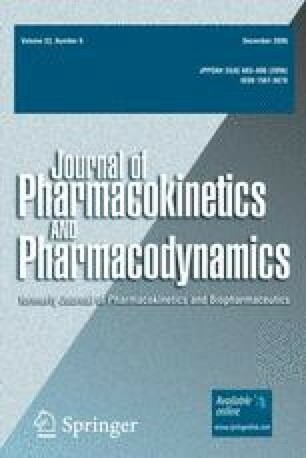 Current physiologically based pharmacokinetic (PBPK) models are inductive. We present an additional, different approach that is based on the synthetic rather than the inductive approach to modeling and simulation. It relies on object-oriented programming. A model of the referent system in its experimental context is synthesized by assembling objects that represent components such as molecules, cells, aspects of tissue architecture, catheters, etc. The single pass perfused rat liver has been well described in evaluating hepatic drug pharmacokinetics (PK) and is the system on which we focus. In silico experiments begin with administration of objects representing actual compounds. Data are collected in a manner analogous to that in the referent PK experiments. The synthetic modeling method allows for recognition and representation of discrete event and discrete time processes, as well as heterogeneity in organization, function, and spatial effects. An application is developed for sucrose and antipyrine, administered separately and together. PBPK modeling has made extensive progress in characterizing abstracted PK properties but this has also been its limitation. Now, other important questions and possible extensions emerge. How are these PK properties and the observed behaviors generated? The inherent heuristic limitations of traditional models have hindered getting meaningful, detailed answers to such questions. Synthetic models of the type described here are specifically intended to help answer such questions. Analogous to wet-lab experimental models, they retain their applicability even when broken apart into sub-components. Having and applying this new class of models along with traditional PK modeling methods is expected to increase the productivity of pharmaceutical research at all levels that make use of modeling and simulation. Electronic supplementary material is available for this article at http://dx.doi.org/10.1007/s10928-006-9031-3 and accessible for authorised users.